Insanemedia’s 20 hour live blog started Thursday night around 9:00 PM PST with the MIT shooting, killing one officer and seriously wounding two, the shootout left one suspect dead and ended Friday evening with Dzhokhar Tsarnaev’s capture. I just wanted to write a quick update on the Boston Bombers, the Tsarnaev brothers Dzhokhar & Tamerlan Tzarnaev. 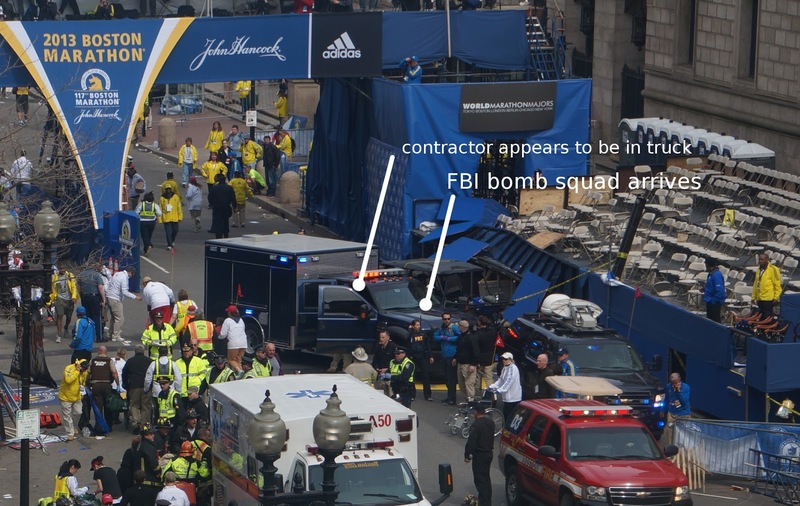 In this article we will take a closer look at the motive, declared martial law and the FBI – We are also observing the “contractors” on scene of the Boston Marathon Bombing. It was stated that this was taken from a security cam, but discussion is ongoing that he actually climbed out of boat in the backyard of a home on Franklin Street in Watertown, not in! Investigators are trying to determine whether the Tsarnaev brothers, who lived for at least a short period near Russia’s restive Chechnya region, were acting independently or directed by a broader conspiracy. Dzhokhar Tsarnaev arrived with his parents in the USA in 2002, just before he turned 10. Tamerlan Tsarnaev arrived on his own around 2004. The family was granted legal permanent residence in the U.S. in March 2007. In 2012 Tamerlan Tsarnaev traveled to Dagestan, the Russian republic next to Chechnya where his father currently lives, along with other relatives. Dagestan is known to be a simmering Islamist insurgency. Tamerlan appears to have been sympathetic to Islamist radicalism. In August 2012, he created his channel on YouTube. He’d created a playlist called Terrorists, however Youtube has removed the content. The channel also features videos from one of the leaders of the insurgency in Dagestan, who goes by the name Amir Abu Dudzha. You can also see Timur Mutsuraev, the bard of the Chechen resistance in the 1990’s. Dzhokhar Tsarnaev was portrayed as a sociable member of his school community. A former classmate stated that Dzhokhar was really integrated into the school community. “He was a normal American kid.” On his Vkontakte page he posted video messages sympathetic to the cause of Chechen independence. They are known to receive support of Islamist activists. There are a lot of remaining questions, the desire to discover who was behind this terror act has driven many people to speculate on various theories. Let’s not forget that nine days after the 9-11 attacks on America, President George Bush declared “War on Terror” and the role propaganda played leading up to Bush’s declaration and the subsequent invasions of Afghanistan and Iraq. It did not take long before the finger of the mob was pointed in the direction of Muslim Terrorists and Jihad. The Voice of America has called it, “A Week of Terror” in Boston. As the investigation continues regarding the Boston Marathon bombing and the Watertown shootout, the motive and question who may be behind it, it’s important to take a step back and observe the situation. Was this really the work of Islamic terrorists? In the thread about the Boston Bombers on GLP that had over 500 pages with over 900k views in a less than 20 hour period, we continued to question if this was indeed the work of only two men. During the chase of Dzhokhar Tsarnaev, he received the nickname of “Mr. Bourne” as he continued to get away, after martial law was declared in Boston. 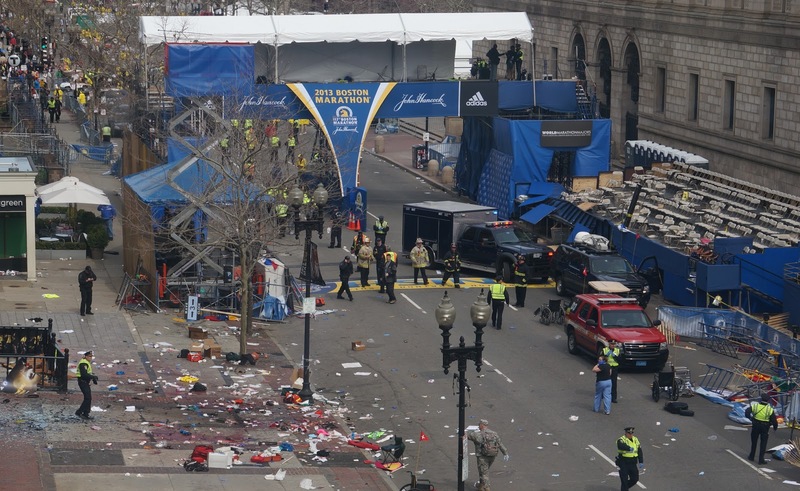 Over 9,000 law enforcement and military personnel had classified Boston and surrounding towns a war-zone. This was a first in US history, and yet they could not manage to find the suspect Dzhokhar Tsarnaev, who was eventually found by the owners of the boat, who noticed the tarp was looking out of place along with blood. Section 1031 of the NDAA bill, which itself defines the entirety of the United States as a “battlefield,” allows American citizens to be snatched from the streets, carted off to foreign detention camps and held indefinitely without trial. The bill states that “any person who has committed a belligerent act” faces indefinite detention, but no trial or evidence has to be presented, the White House merely needs to make the accusation. The people of Boston accepted quickly, that a huge police and military force in Boston was necessary in order to be safe and protect them. The city of Boston was quickly shut down, with military Humvees lining the streets, the closure of the city public transport system and business closures. Police and military quickly staged in public places, curfews in place, doing door to door searches of homes. 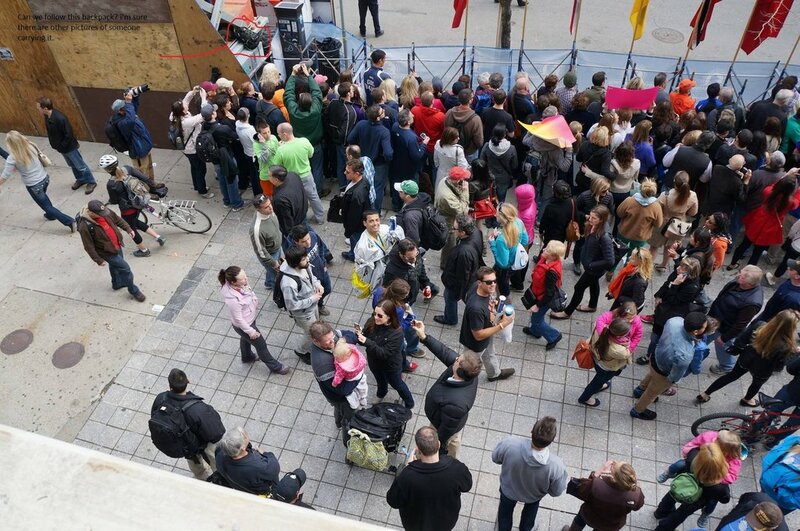 People of Boston were ordered to stay indoors, those who were at work received message to go home. If we take a look at all of the recent terror plots in the USA since 9/11, there is one group we should take a closer look at. According to Global Research, they are believed to have funded equipped and even incited the would-be terrorists into action: the FBI. In 2005, federal prosecutors charged Michael Reynolds, a 47 year old drifter living with his elderly mother, of attempting to wage jihad on the US by blowing up fuel facilities. In reality, his plan for jihad was little more than a series of conversations he had on a Yahoo! Chat room with a US judge posing as a militant. He was arrested after agreeing to meet with an FBI informant who had promised him $40,000 for his cause, and two months later the FBI quietly announced he was likely mentally ill. He was eventually convicted and is curently serving 25 years in jail. In 2007 the so-called “Fort Dix Six” were nabbed in a much-hyped FBI terror bust after allegedly hatching a plan to attack a US military base and kill the soldiers there. At the time, a 26-page indictment revealed that the group had “no rigorous military training” and “did not appear close to being able to pull off an attack.” The next year it was revealed that the FBI informant who had infiltrated the group had in fact offered to organize the members and lead the plot itself. What else do we know about the Boston Bombers? Tamerlan Tzarnaev was under FBI surveillance for at least 3 years, according to his mother. Zubeidat Tsarnaeva told the Russia Today television station in a phone interview that was obtained by Reuters, that she believed her sons were innocent and had been framed. In a statement by the FBI on Friday, they stated that they interviewed Tamerlan at the request of a foreign government, which it did not identify in 2011. The FBI said the matter was closed because interviews with Tamerlan Tzarnaev and family members “did not find any terrorism activity, domestic or foreign”. The FBI statement was the first evidence that the family had come to security officials’ attention after they emigrated to the United States from Dagestan about a decade ago. The father made a statement on Television during the chase, that if they hurt his son all hell would break lose. Dramas facilitated by the F.B.I., whose undercover agents and informers posed as terrorists offering a dummy missile, fake C-4 explosives, a disarmed suicide vest and rudimentary training. Suspects naïvely played their parts until they were arrested. We all seem to forget the photos, that were added to the 4Chan Think Tank, who were observed and analyzed as suspects. 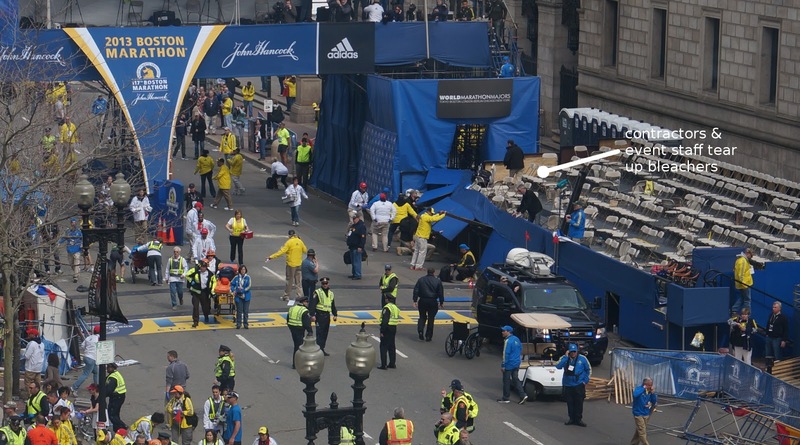 The “Contractors” stood at the Boston Marathon near the Bomb, and left before the detonation. Wearing unmarked, matching uniforms and operating an unmarked SUV with communication equipment near the finish line of the Boston Marathon shortly after the bomb blasts – was seen before the Boston Marathon Bombing, just a little distance away from where the first bomb was detonated. 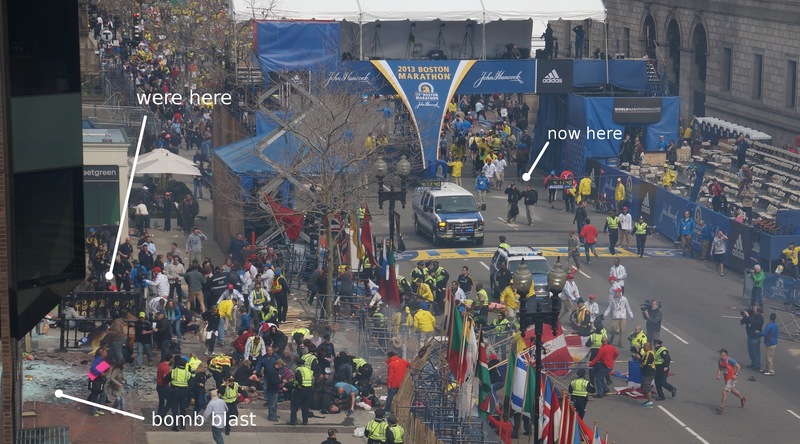 Photo showing the subjects/contractors on the bottom left, just where the bomb was placed and detonated. The men are wearing matching, unmarked uniforms, large black bags, and appear to be waiting, separately, and “behind” the rest of the crowd. Picture after the explosion, they can be seen by the wall next to the bomb, appear across the street, both using communication equipment. An unmarked SUV with a considerable amount of communication gear on the roof appears, surrounded by identically dressed men. Event staff and contractors above and below the bleachers begin tearing up the skirting and appear to be looking for something or retrieving something while casualties are still being treated and evacuated across the street. The men, between 6-8 then begin tearing up the skirting around temporary bleachers erected for the event, opposite the explosion, before taping it off. Then, what appears to be an FBI bomb squad truck pulls up directly behind the contractor-types’ SUV, with a woman clearly wearing the letters FBI on her tactical vest emerging and speaking with the contractor-types. Together they disappear from the scene, leaving their vehicles behind. The FBI truck and contractor SUV sit seemingly abandoned – neither the FBI agent, nor the contractors can be seen. What they did, or where they went remains so far, unknown. Who are these men, with large, black backpacks close to the bomb, moving away and appearing directly across the street afterward? Did police, firefighters, event organizers, and medics know these men were present and what they were doing? Why did it appear that the FBI was fully aware of their presence, and in fact working with them, specifically with what looks like a bomb squad unit? Were these contractors specialists in explosives, and if so, what is the significance that at least two of them were spotted just meters from where the blast occurred? The students, named Azmat and Diaz, drive a black BMW 330XI with the personalized plate and a sticker on the back which reads: ‘F*** you, you f****** f****’. They are thought to be from Kazakhstan and had not been seen since the bombings until last night when their ground floor apartment in New Bedford, MA, was raided by a dozen FBI agents at gunpoint. The police chief, Edward Deveau, describes how cops nearly apprehended the older suspect, and were placing handcuffs on him in the middle of the street Thursday night, when the younger suspect came at officers in a carjacked SUV. The cops were able “to dive out of the way,” and the younger suspect then continued to drive directly over his brother and dragging him through the street. That’s how the older suspect died, according to the police chief. I was listening to scanner, police officers mentioned on the radio, that Tamerlan Tzarnaev had an explosive device on his person, telling officers to be careful. We initially thought that he blew himself up. The statement that Dzhokhar Tzarnaev decided to drive over his brother was widely discussed on GLP. What is your view on the Boston Bombers? Are the Tsarnaev Brothers Islamic Sleeper Cell Agents? Did they act alone? 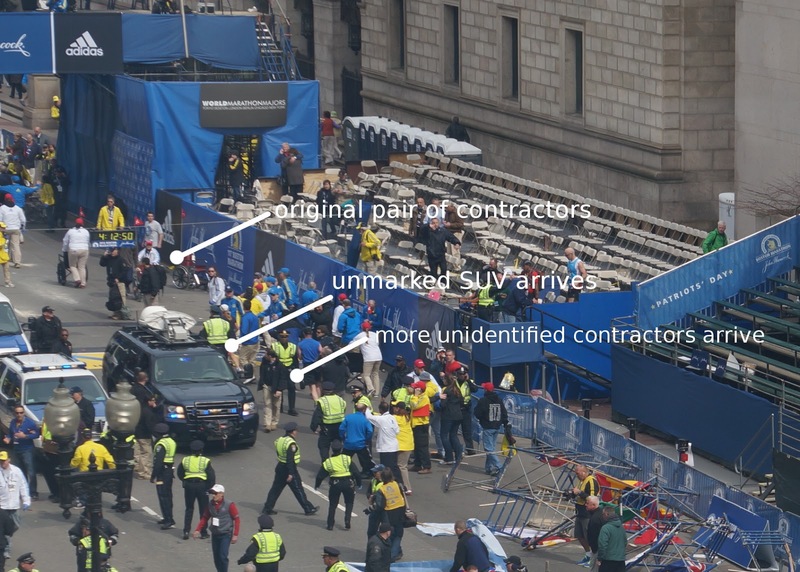 What do you think about the contractors on scene of the Boston Marathon Bombing? Sleeper cell for sure……..they were going to do more harm. That bugs me that the contractors were not jumping in to help people.. I was reading your Timeline story about Boston Bombing, and when I went to turn to the next page, I received a “Message is no longer in Database.” What the heck happened, I didn’t even get to thank you for all of the work you put into that thread. You did an amazing job, I do not understand why the message is no longer there. Anyhow, thanks for all of your investigative work; you are doing an amazing job!! 🙂 Peace! Oh I’m pretty upset. I posted it exclusively on GLP first. I’m trying to find out what happened. Wrote Trinity and Ghetto Monk but we already know that once you come close to the truth they censor the content. I’m re-posting it on my blog now. Stay Tuned! Awesome!! I cant wait to read it! Yes, GLP has changed immensely, and they rarely ever pin true, informative, threads; they instead rather pin, “I washed my car and a bird went diarrhea (sic) all over it.” And lately the shills have been out full force, I did not think there could be any more shills discrediting so many threads then there was on the Sandy Hook threads, but I was wrong, there seems to be an endless amount on the Boston Threads as well.